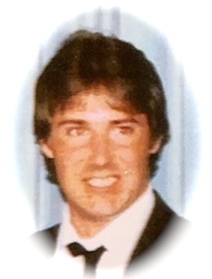 A Funeral service for David Paul Roche will be held in the MacDonald Rockwell & MacDonald Funeral Home on Friday April 5th, 2019 at 11:00 AM. David was the loving son of Mary Catherine (Dormady) Roche and the late John Martin Roche. He passed away Monday evening in Watertown. David was 57. He was the loving son of Mary Catherine (Dormady) Roche and the late John Martin Roche. Dear brother of Wayne Roche & his partner Anna of NH, Susan Roche of FL, Kim Harvey & her husband Brian of CA, Jacquelyn Roche of Watertown, and Tim Roche & his wife Carole of Watertown. Also survived by several nieces, nephews, aunts, uncles, and cousins. A Funeral Service will be held in the MacDonald, Rockwell & MacDonald Funeral Home, 270 Main St. Watertown, MA 02472 on Friday April 5th, 2019 at 11 AM. Relatives & friends kindly invited. A visitation period will be held from 9 AM – 11 AM before the service.